At Bonova Advisory we interview C-suites , Thought leaders and Influencers in Banking and Finance. This week I had the pleasure of interviewing Daniel Davis, President and CEO at Axiom Bank. My first job at a bank was as a teller during college. I worked the lobby and drive-up window. That was a great experience, except for the time my tie got caught in an industrial-strength filming machine and I had to frantically pull it out. Luckily the room was empty, so I wasn’t too embarrassed. After earning my BSBA in Accounting and Finance from Saint Louis University in Missouri, I accepted an offer from KPMG, where I specialized in auditing insurance companies. I enjoyed freely sharing my opinion, whether I was asked or not. It only took me about 20 years to figure out that it’s better to be liked than to be right. Later on, I worked at several banks and eventually became the CFO of a large national bank in Detroit. Several years later, my boss and I left and organized a de novo bank. I was executive vice president and CFO, and I learned how to run a community bank. 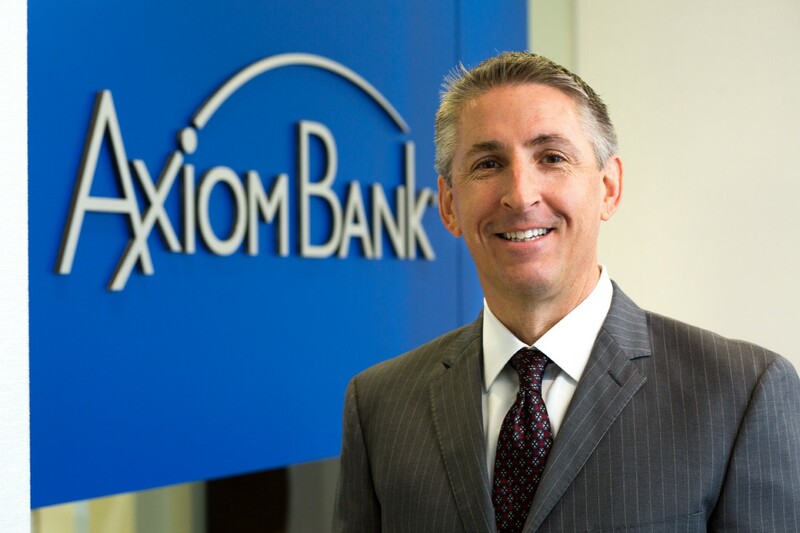 After moving to Florida, I worked at two community banks and joined Axiom Bank in 2014 as Senior Vice President and CFO. I became president and CEO in 2016. Axiom is one of the few community banks I know of that has the knowledge and experience to capitalize on the rapid changes in delivering bank products through new mobile banking technology and fintech partners. While many banks are purchasing loans through a listing service, we’re working with fintech partners and creating opportunities to offer our products through their tech portals. The banking industry is rapidly evolving through acquisitions and mergers. I’ve been through 10 mergers, and each has been a blessing in disguise. In each position, I’ve learned so much about banking, the industry and how to work with people. Even the setbacks along the way have offered invaluable lessons. That said, I’m grateful for all my hiring managers along the way. I’m particularly thankful for my manager at First Bank of Illinois, Co., where they brought me into the senior management team. Partnerships with fintech will allow banks to reach new markets to secure more loans and deposits. For many banks, this means growing outside their regional footprints more extensively and effectively, so they can expand brand awareness and product sales. Fintech companies will continue evolving from technology solutions into a true value-add proposition. These firms can create new efficiencies — for instance, pairing an employer and employee in a certain way for a certain market segment. Let’s say a retail employer needs to hire numerous employees and has high turnover. They can create a portal for new hires and offer a banking solution to add value for those employees. This type of partnership is what fintech does well. In turn, fintech companies will earn a greater return through revenue-sharing relationships rather than a unit price for a service provided. Evolving fintech capabilities and related partnerships will likely replace or drive down excessive core processing costs, which banks currently do not enjoy from the primary banking industry technology companies. Legacy companies aren’t as nimble as fintech firms, which are offering less costly solutions. Over time, that will push legacy companies to be more flexible and open, offer better functionality and reduce their prices. Mobile banking will continue to evolve and gain even greater acceptance as more fintech firms get involved and offer more effective user functionality and related backroom processing. Bottom line: mobile banking will become easier and easier to use. As one example, our mobile app, AxiomGO, was designed to make the account-opening process as streamlined as possible. We offer a driver-license verification capability directly in the app. Our users can also take advantage of an integrated budgeting tool that sets spending limits and sends alerts in real time. I have two. First, “People never forget how you make them feel.” And second, “Do more than you’re paid to do, and you’ll always have a job.” I give this advice to my own kids, as well as college students who ask me for advice. On the professional side, embrace and enjoy challenging projects to change and improve them. The satisfaction and feeling of accomplishment will more than offset the hardship you went through and condition you to do more on the next project or effort. On the personal side, plant a tree to improve air quality and absorb heat. I enjoy cycling and running in my free time, and there’s a world of difference when it’s being done in the shade.